door intercom, access card, and auto gate system which suits your budget.  Simple voice intercom using two wires.  Simple video intercom using six wires.  Come with door unlock function. 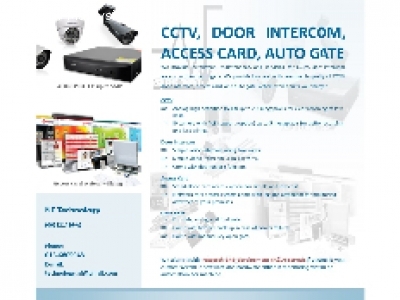  Stand alone card access system for simple and low cost.  For slide, swing, and fold gate.  Come with battery back up in case of power failure.  Come with manual key open gate.